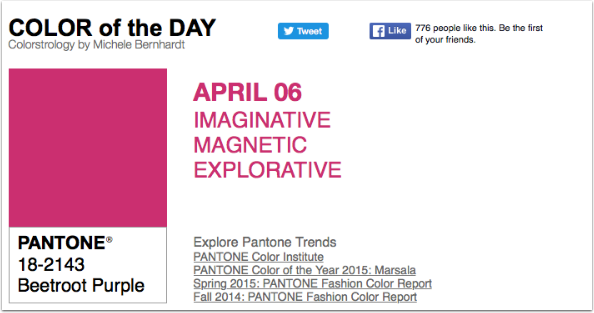 Today’s Pantone color of the day is ‘Beetroot Purple’ (18-2143) and the accompanying descriptives are ‘Imaginative, Magnetic and Explorative’. So, we would like to see your creations using this colour in combination with those words, if possible. It’s a challenge after all!